There are plenty of free tools available for HTML5 quality validation and testing that can and should be used by anybody who produces or buys software products. Unlike traditional native binary-only apps, with HTML5 apps the user has the ability to access the source code due the technical structure of how HTML5 apps are composed. The source code might not be published with an open license and the source might be obfuscated and minified, but none the less anybody still has the legal right and technical methods to inspect how the app works. One of the benefits is that anybody can do quality assurance and it is no longer restricted to original developers. For example the end user can test how good the app is that he uses, or the procurer can test how high the quality was of the delivered software, or third party auditors can with ease find issues and suggest improvements. In this article we’ve listed some of the free tools available. With these tips you can go and test all the sites and apps you’ve built, produced, bought or have any other influence on. With the test results you’ll know where those sites stand in terms of quality, and the test results themselves are actionable items you can work on (or request somebody to work on) thus eventually building increasingly better apps and websites. The first and most basic thing is to check that the HTML markup is valid and up to date. 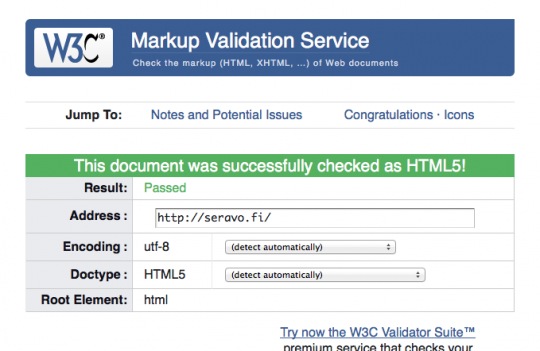 This can easily be done using the official W3C Markup Validation Service. Useful things like having the alt= attribute on your <img> tags and correctly stating your document type at the start get picked up by this tool. For your CSS validation needs, the W3C also offers a CSS validation tool. The all-in-one Unicorn tester is also worth checking out. There is also a separate mobile checker but it isn’t up to date with modern responsive mobile design methods. There is also a broken link checker. Microformats is a way to embed data in a site in a machine readable format, e.g. an address or product information. A simple hCard Microformat validator by Kornel Lesiński is good specifically for the hCard format while the rich snippets tester by Google is good to validate a larger range of microformats markup, including RDF formats. The Facebook Debugger can analyse Open Graph metadata. The Google rich snippets tester is a part of a bigger Google webmaster tools suite, which also includes other tools that help webmasters make sure their websites perform great and do not have missing pages (404 errors) or other issues that affect search engine visibility. A related test suite is provided by SEO SiteChecker that will analyze the search engine optimizations of your site. Two other testers are SEO Analysis Tool and PluginSEO, but they are perhaps a little less useful. Specialized tools for HTML markup validation from the accessibility point of view exist to help webmasters make sites and apps that can be also used with screen reader devices and other aids. The most popular online testers are: WAVE, FAE, Hera and AChecker. Google’s Chrome browser has a pretty comprehensive set of web development aids built right into it. 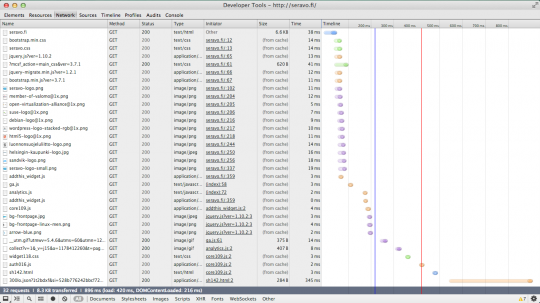 Other modern browsers have very similar development tools like Firebug for Firefox or Safari’s built-in web inspector; however, Chrome’s DevTools is often exceptionally useful due to its more comprehensive list of features and unique tools. 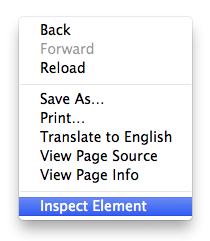 DevTools can be brought up quickly from the right click menu in Chrome. For Firefox we recommend the extension FireBug. Speed is a complex thing to get right in HTML5 apps and websites as there are so many components involved from browser features to network connection and back-end servers. For speed testing there are three major open source projects available: PageSpeed (originally by Google), YSlow (originally by Yahoo) and WebPageTest (originally by AOL). 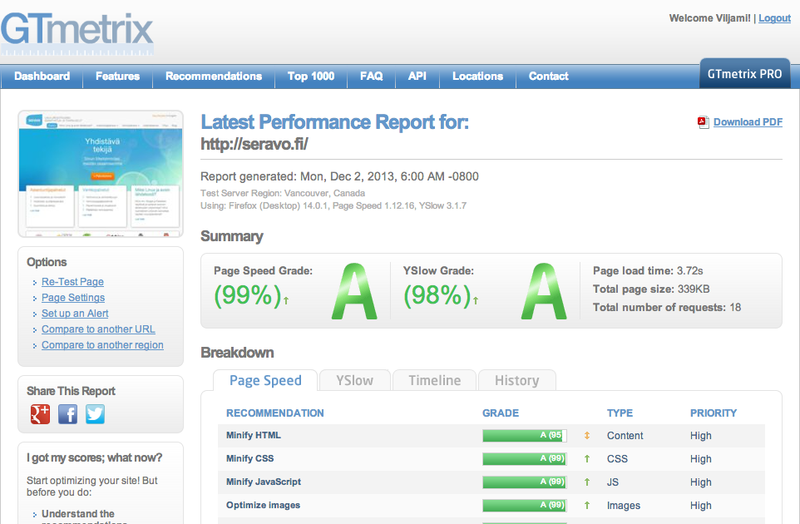 GTmetrix automatically tests your site using both PageSpeed and YSlow. Also the user interface is great and makes gauging your website performance easy and fun. All you have to do is give GTmetrix a URL to look at and let its powerful engine determine the overall performance of the page with a simple 0-100% score. It even keeps track of your score history for reference. This is your comprehensive one stop page performance tool. PageSpeed Insights is Google’s take on automated page performance analysis. The killer feature that really stands out in PageSpeed Insights tends to be the differentiation of desktop and mobile aspects. The service itself is very similar to the aforementioned gtmetrix and in some aspects a much simplified version of it. This service is utilised with everyone’s favourite analytics source, Google Analytics. 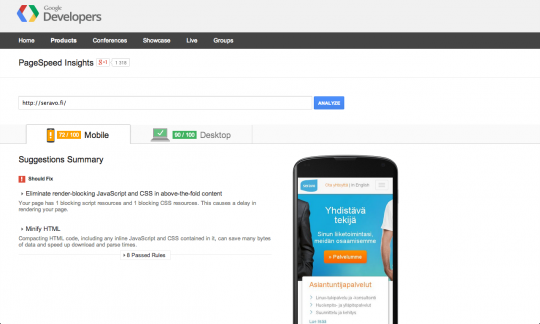 Analytics automatically spiders your website and generates PageSpeed Insights reports for each of its subpages. These reports can be found at Behaviour > Site Speed > Speed Suggestions in the Google Analytics web interface. If there isn’t enough data, you can increase the sampling rate by tweaking your tracking code settings. The Pingdom full page tester is based on PageSpeed, but incorporates also historical data so you can see how a site performs over time. WebPagetest.org is a free online version of the test suite originally by AOL and a good tool to increase performance once everything recommended by PageSpeed and YSlow is addressed. Does the site work across all modern browsers? A quick way to find out is to run a batch of screenshots using different browsers at browsershots.org. For the similar purpose there are also interactive tools like Browserling. As most most problems are related to MS Internet Explorer, a quick way to check out how a site looks with IE is to use IE Netrenderer. Is your site responsive? Does it work on mobiles and tablets? Test different screen resolutions easily with the Responsinator. To test the quality of the infrastructure that delivers the HTML5 app in question there are also many tools. The nameserver can be tested for following best practises using DNSInspect.com or Pingdom tools DNS health check. A HTTPS certificate checker is available at DigiCert. The Red Bot provides a handy server headers analyzer for that can automatically scan all embedded elements (images, CSS files etc). Nibbler is a very extensive website tester, that not only tests many purely technical thing but also analyses website visibility and social media integration. Image & Link Analyzer is a quick tool to check that for broken links and images, however the Google Webmaster tools includes somewhat similar features too. There are many ways to test the quality of websites and HTML5 apps. With so many time saving online services, there is no excuse for you not to do your part in improving the web. I would like to make you discover our new website tester : http://www.dareboost.com. We integrate Google Page Speed and YSlow results (as GTMetrix), the W3C validators results and some best practices of our own researches (JQuery usage for instance). I would be very glad to have your opinion on the solution!